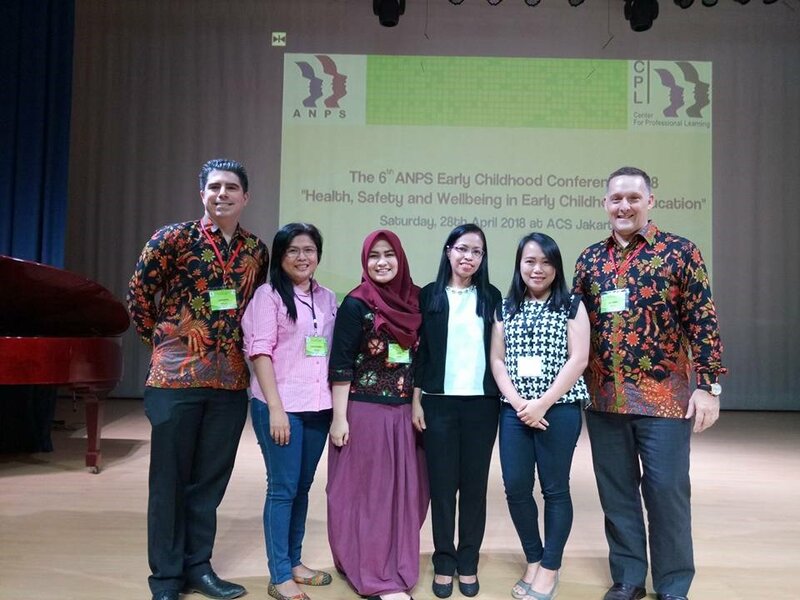 It was marked 28th April when the ANPS conference themed “Health, Safety, and Well-Being in Early Childhood Education was organized and took place in ACS, Jakarta. Basically the main objective of this annual conference is to provide practical, hands-on and immediate strategies that teachers can immediately use across all grade levels and subjects. Since we are a member school and we aim to further our teaching methods and strategies we sent two of our teachers named Ms Marie Rachelle, a PG2 mentor and Ms. Divina O. Pandy, a K2 mentor. It was with great pride that the latter mentor was chosen to be a presenter of her own choice topic titled “The Five Core Emotional Needs of Children”. Generally, both teachers brought the knowledge on these matters “Fun with Hydrophonics and Grit: Why and How to Start it Early which will be eventually shared/echoed with their peers during our Professional Development Program. This said PD program is designed and implemented couple of times in a school year with the ultimate objective of updating and enhancing the teaching skills of our teachers. The ANPS – Betaraf Internasional (ANPS – BI) is a non-profit organization of the whole Indonesian schools that was founded with the aims of promoting and developing education in Indonesia; providing professional development opportunities for teachers and staff and providing a forum in which practitioners and leaders could discuss common educational issues.